Hi, my name is Mark. I am your skipper of She Likes It II and owner of Sussex Fishing. 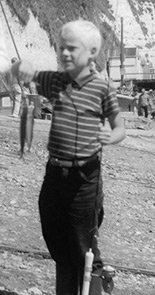 I started fishing as a lad of 7 years old when I went on my first Mackerel trip. This was while on holiday in Devon in August 1968 and I still remember it well. I caught 7 Mackerel on a small spinning rod bought by my parents. This was by using a small spinner and a spiral weight while we trolled slowly along. Old pun I know, but I was hooked. I can also remember being most impressed by the old wooden boats that would run up the beach in the small South Devon coastal village of Beer. Fishing and boats have been an interest since then in equal measure. I aim to provide an excellent service and to be as flexible and accommodating as possible. 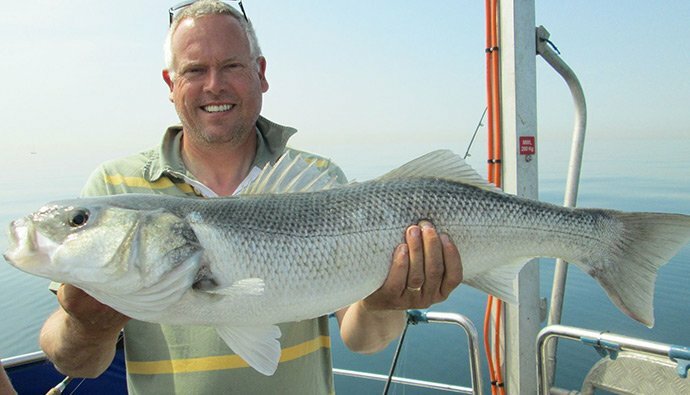 That your fishing and boat trips around the Sussex coast, will be a thoroughly enjoyable experience. I was able to purchase my first boat in 1995. A 16ft Meeching beach boat. I qualified as a charter skipper in 2009 and started to run Blue Fin, my previous boat, just during the weekends for fishing and boat trips around Brighton and the Sussex area from the port of Shoreham. That was the original plan anyway. Then, from the 1st January 2012, I decided to run the boat full time and have a change in life style. I purchased “She Likes It II” In March 2012. A Little Bit More about your Skipper. Like many of us, I have had a brush or two with illness. In 2007 I was diagnosed with bowel cancer. Although it was quite advanced, I had no symptoms and it was discovered while having a test for something completely unrelated. Following surgery and chemotherapy I have been in remission since 2008. In 2015, after having my now yearly test to see how things were doing following the bowel cancer. I was informed that something else was not quite right. This time with my blood and bone marrow. So second time around now it was discovered I have a condition called Multiple Myeloma. I have again been treated with chemotherapy and this time received a Stem Cell Transplant. Not so long ago, my chances of survival from the bowel cancer alone would have been very minimal. But thanks to the fantastic work of our Doctors, Nurses, Researchers, Support staff etc. I am for the moment able to lead a normal life. When I had to stop running the boat in 2015 , I was truly blessed and touched by the generosity of many customers who kindly donated the deposits I was holding on account, to various charities. With that in mind, I have included a link to Cancer Research UK if you feel minded to make a donation.